Mansfield, 6 @ King Philip, 1 – Final – Mansfield scored in each of the first four innings on its way to a win over King Philip, clinching the Kelley-Rex division title with the result. The Hornets scored two runs in the first and third innings while tacking on single runs in the second and fourth. Tyler Dalton earned the win on the mound, allowing just three hits and one unearned run in the seventh inning, and struck out 12. Dalton helped his cause at the place by going 2-for-3 with two RBI and two runs. Cullin Anastasia added two hits and an RBI for Mansfield. 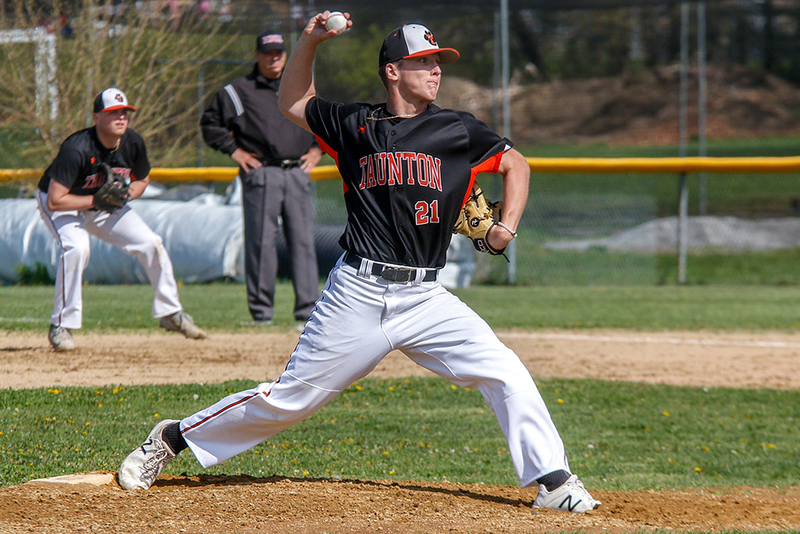 North Attleboro, 7 @ Taunton, 3 – Final – North Attleboro plated four runs in the third inning, including what turned out to be the winning run, to conclude the regular season with a victory on the road at Taunton. Brendan McHugh (three runs) started the third with a leadoff walk and scored on a double from Zach DeMattio (2-for-4). DeMattio scored on a two-out double from Jeff Gale, and Nick Raneri (HBP) scored on an errant throw. Gale came in to score on a base hit from Nolan Buckley. 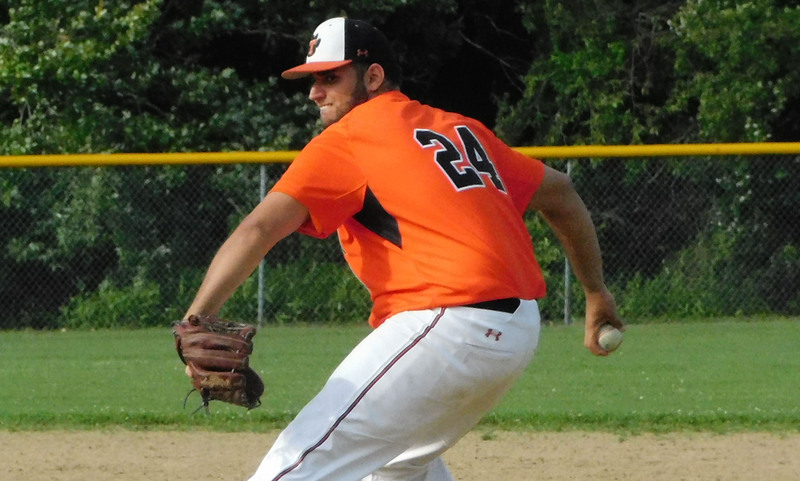 Taunton scored two in the fifth behind three straight singles from Jack Moynihan, Evan Melo, and Tyler Pietrzyk, and then a sacrifice fly from Jacob Crawford. 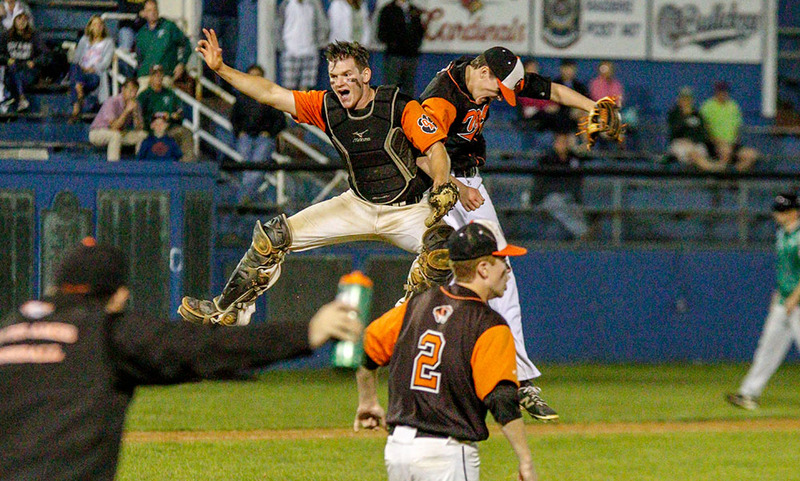 But North put the game away with two more runs in the top of the sixth. Shawn Watters (double) scored on a triple from McHugh, and McHugh came home on a sacrifice fly from Nick Sinacola. North Attleboro, 7 @ Milford, 4 – Final (9 inn.) – North Attleboro struck for three runs in the top of the ninth inning, all with two outs, to hand Milford its second straight loss. Olivia Capobianco drove in Katherine Munley and came around to score herself on a base hit from Abby Gallagher. Gallagher scored on a hit from Ashley Cangiano. Annabelle Hebard had two doubles and scored a run for North. Bella Erti struck out five in the win. #5 Milford, 3 vs. #12 Burncoat, 1 – Final – Click here for a Recap and Photo Gallery from this game.